At Nurse Stucco we offer a variety of Stucco solutions for Residential homes and apartments to Commercial Businesses throughout San Diego county. 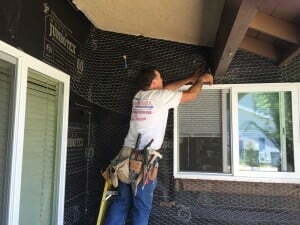 Our experience will help you save time and money and will bring added value to any of your Stucco projects. 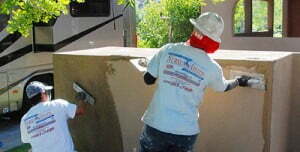 I had a great experience having my house stuccoed by Nurse Stucco. My house is older and I had the house sandblasted and had new stucco put on the house and it looks like a new house. I had obtained some other estimates from other companies and I was most impressed with knowledge and approach by Nurse Stucco. I have had work done by a number of contractors and I found Nurse Stucco to be one of the best that I have had do work for me. Thanks Darren!! One of the most professional companies I have had the pleasure of doing business with. I find construction to be such a headache, but not with Nurse Stucco. We hired them for a sandblast and re-stucco job on our 61 year old home and could not be happier with the transformation. Darren went above and beyond to help with any decisions we had on our project and ensure everything was to our utmost satisfaction along the way. He also stopped by or called each day during construction to check on the progress. Every worker that came out showed up on time, was very professional and cleaned up the work area before leaving. I found Darren and Nurse Stucco to hold the highest integrity and would highly recommend them. Nurse Stucco did an extraordinary job in transforming our home. Blaine and Darren took the time to educate us on the science of stucco. They were patient with me, I asked questions and they took the time to make sure I understood all phases of the job. They made me feel as if I was their only customer. We are happy with the finish job. The Nurse brothers have integrity, they are kind, courteous, patient, and they return text messages and phone calls. Thank you Nurse Stucco and crew for transforming our home.